Garden Design: A newly planted entry garden. A newly planted front entry. 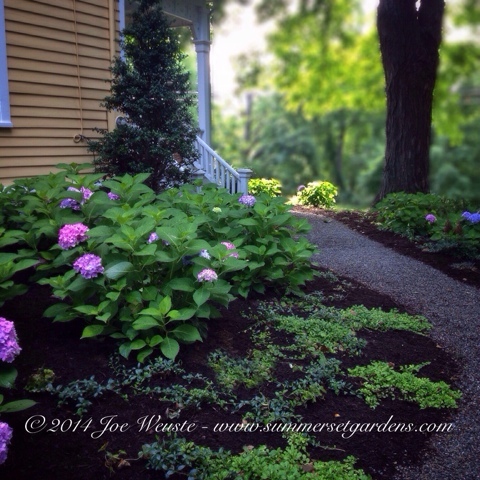 A simple pea gravel path lined with groundcovers, Holly and Hydrangea.